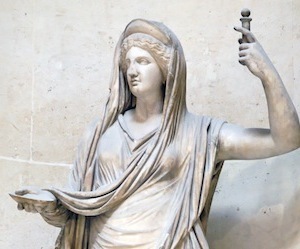 Hera is the Personification of Nomos, that is, both “order” and “tradition” (See Glossary of Athenian Legal Concepts). Her name may have once meant “time”-ly: from Horos, or meaning “Mistress” the feminine form of Hero. By Homeric Times she became the Woman’s Goddess, of the phases of a woman’s life, and as such is the only Classical Goddess with attributions of “Maiden, Mother and Crone” (see below). She is the Goddess of the Complete Woman, in all her phases. 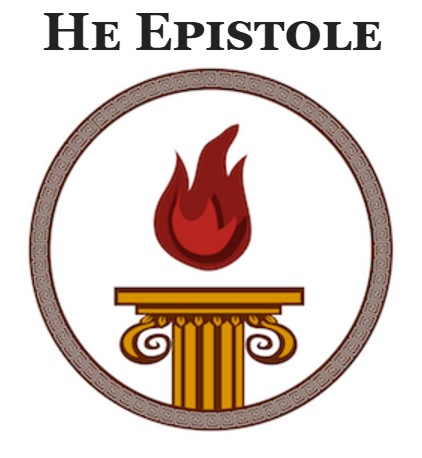 As the Goddess of Nomos she is the Goddess of Family and its Traditions: Oikios and Nomos both of which begin with the Marriage. She is the Goddess of the Home, in that sense, and in the very Mediterranean concept of Family, of which she is the Matriarch. Daedala (Little Daedala every 7 years and Great Daedala every 60 years) . Respect marital vows, your own and those of others. Work hard at your relationships. Keep the romance alive. Don’t fall into a routine, or take your family or loved ones for granted. Call your Mother! Buy and use a new cookbook, Clean your home. Celebrate the seasons through cooking, going out to nature, or decorating seasonally. Research your genealogy, revive a family tradition, archive Mom or Grandma’s recipes. Don’t forget to pray to her when you’re feeling stressed, frustrated with family or your loved ones. She often has really good advice! Appreciate the women in your life you take for granted!